"The world will end if bees extinct." This is a fact reckon by scientists all over the world and has raised concern to public how to conserve a better environment ensuring that bees aren't going to extinct. Without their little help, there will be no flowers, no fruits, no trees, the world will certainly end sooner than we thought it would. Melvita launched Nectar de Miels body care which combined with acacia, orange blossom honeys in this new range to heal and rescue very dry and sensitive skin. Its formula can relieve, repair and revitalise, creamy texture can be absorbed immediately into skin without needing long massage. Little did I know, Thyme flowers which are rich in nectar has been used since Roman and Middle ages where they would place Thyme flowers in their houses to purify air and some will put a few sprigs of Thyme flower under the pillow for a good night sleep. Melvita's source of Thyme honey comes from La Sierra de Cebollera which is a nature reserve in Spain surrounded by mountains and nature, the certified organic thyme honey were collected with tender and care for the bees. The cutting edge medical research on Thyme flowers honey has proven to be a natural antiseptic because it contains high content of Polyphenolis which act as antioxidant, anti-inflammatory and antibacterial actions to soothes damaged tissues on skin surface. It's also high in amino acid for skin renewal so that tissues heal better and faster, high in glucose to lock down moisture in skin layers and high in minerals to restore skin cells. This comforting creamy milk I apply every morning is rich and yet fluid in texture. Its fast absorbent into skin layers leave no mess and no greasy feeling, my skin feels moisturised, supple and fresh with delicious thyme honey floral notes mixed. I can feel the difference on my skin changing day to day upon applying this comforting creamy milk in the morning and the comforting balm at night below. 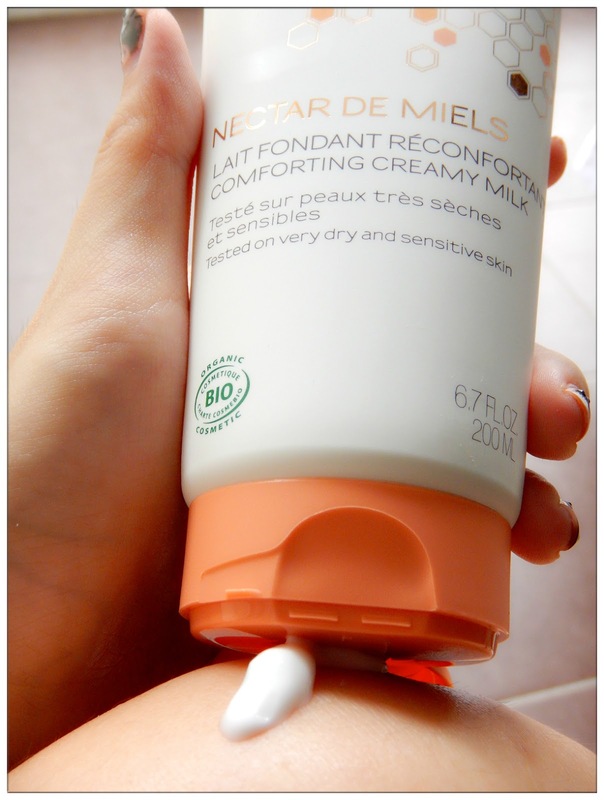 This comforting balm is thicker and more concentrate than the comforting creamy milk that I use every morning. I usually apply this comforting balm at night right before I go to sleep. It is extremely nourishing for even the rough areas such as my elbows, knees and ankles. The balm texture is like a layer of cocoon covered on my skin and then acts and absorbed into my skin with a non-sticky finish! 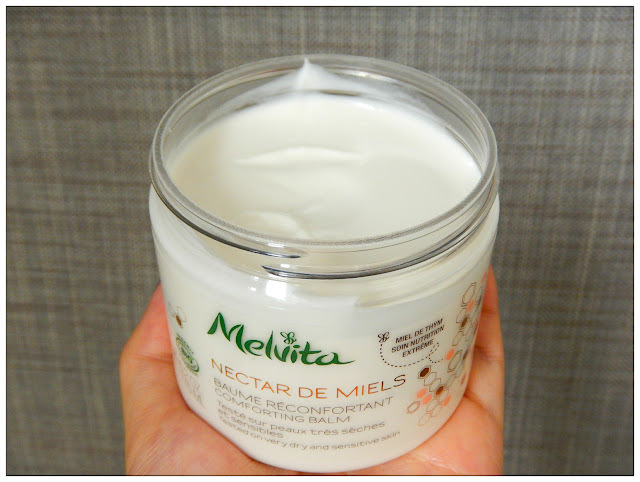 A little side note of what I've encountered with Nectar De Miels Comforting Balm is that I discovered two scratches on me the other day. One small scratch on my knees and one on my elbow, which I suspect I got it from the new bag I held on that day which has a rough lining that both scratches hurt when I shower that night. Before I sleep, I applied the comforting balm on these two scratches and what amazed me is that the next day when I woke up, I hardly felt anything on these two scratches and when I check, the scratches is now healing faster than wounds I had before. Mind blowing and this is how I knew that Melvita's products is definitely working! 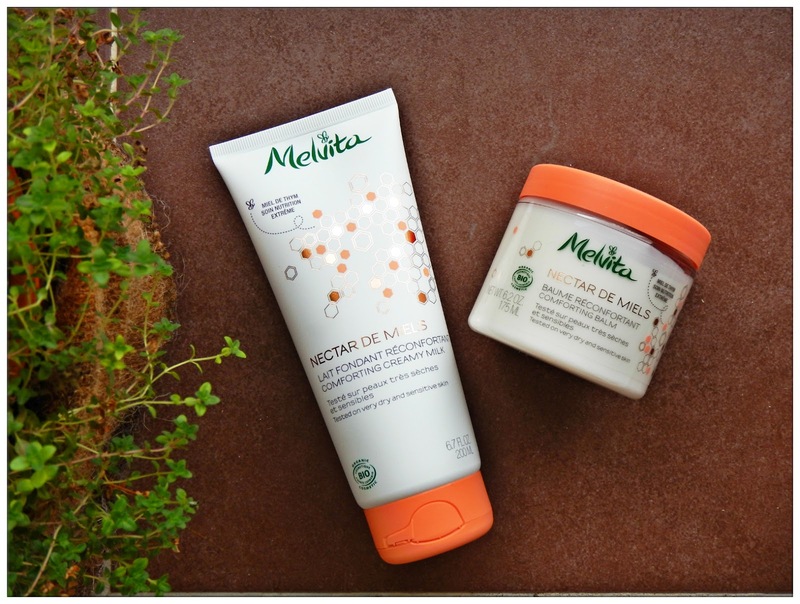 Thank you Melvita Malaysia for these bee-autiful skincare and also take extra effort in ensuring that users of Melvita gets the best quality of organic honey products as well as taking care of the environment and ensuring earth's future ecosystem is well-concerned. 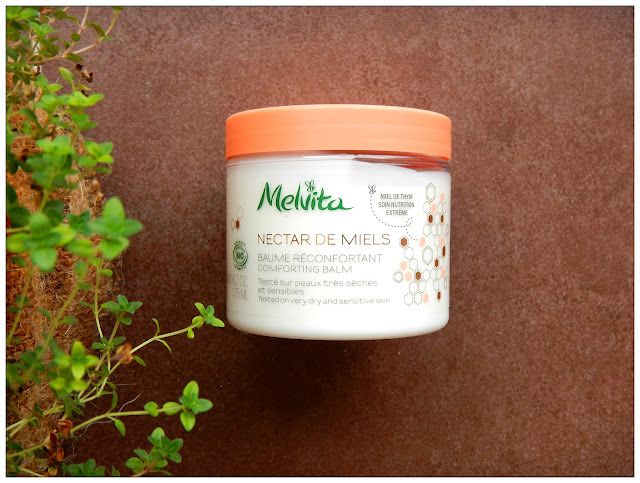 Melvita insisted producing their products with no paraffin, silicone, PEG/PPG, parabens, ethoxylated products, parabens, chlorine derivatives, synthetic fragrances or colourings and is certified organic by ECOCERT as the standard in organic industry. 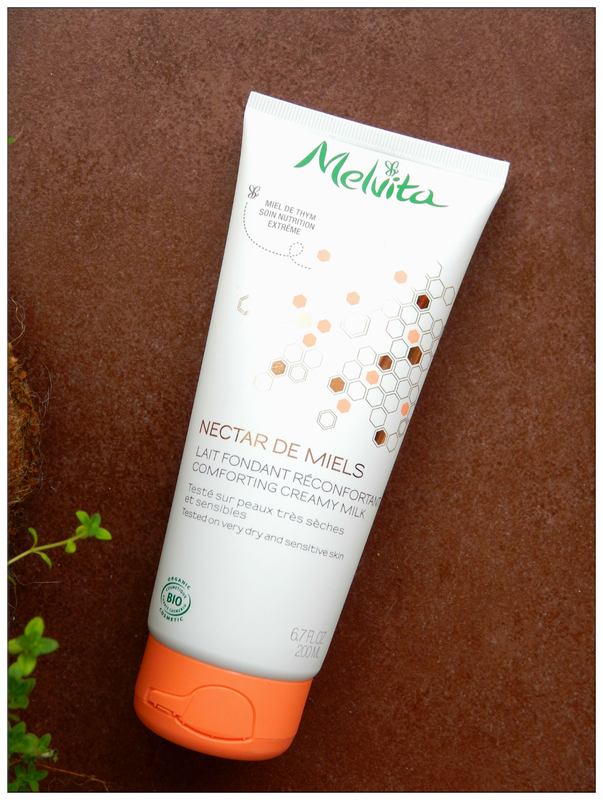 Drop by at the nearest Melvita store to learn more about this bee-autiful brand that cares for you, your skin and the environment!